New model of agricultural products’ insurance will significantly facilitate the process of agricultural insurance in Azerbaijan, said the leading specialist of the Insurance Market Supervision Department of the Financial Markets Supervision Chamber of the country Firdovsi Agashirinov. He made the remarks at the conference "Insurance in Azerbaijan: New Prospects". He noted that the new model will allow Azerbaijan to create a stable and effective system of agricultural insurance, which will be subsidized easily, will increase the opportunities for reinsurance, will provide the opportunity to obtain the necessary statistics, as well as to regulate losses, improve coverage of possible risks and reduce the costs of the state budget. Agashirinov noted that, the current mechanism of agricultural insurance does not meet the existing requirements. "The law regulating agricultural insurance in Azerbaijan was adopted in 2002. The mechanism, when a farmer applies to an insurance company, and it in turn to the Ministry of Finance, is not flexible, and can not cover all the risks, as well as it is limited in terms of reinsurance. 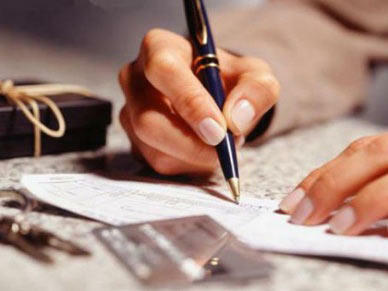 It is also worth noting the high loss rate, and as a result, the lack of interest of insurance companies in this area. In 2016, only five companies worked in the field of agricultural insurance, and the loss rate was 136 percent. Last year, the number of companies decreased to four, and the loss rate was 96 percent," Agashirinov said. He noted that, the new mechanism is not complicated and will significantly increase the attractiveness of the market for reinsurers. "According to the new model, the farmer will apply to the insurance company, which will play the role of an insurance intermediary. The insurer will sign the contract on behalf of the Agricultural Insurance Fund. Part of the insurance premium will be paid to the Fund by a farmer, and the remaining part will be paid from the state budget", said Agashirinov. Hr added that, in the event of an insured event, the farmer will also contact the insurance company, which will inform the Fund. "After that, an independent expert will be appointed who will investigate the incident and will report to the Agricultural Insurance Fund, which, after making a decision on the payment of funds, will transfer them directly to the farmer's bank account. That is, insurance companies in this model play the role of agents only, and do not bear any risks and receive interest from signed contracts. In addition, the IC can carry out reinsurance of contracts in the Fund, but they will naturally bear certain reinsurance risks," Agashirinov said. At present, the law "on assistance and development of agriculture in Azerbaijan" in Azerbaijan regulates state financing of agricultural insurance premiums. The list of crops insured at the expense of the state budget, in addition to wheat, includes barley, corn, sunflower, potatoes, sugar beet, etc. The average tariff for agricultural insurance in Azerbaijan is about 1,500 manats per year (five percent per hectare), despite the fact that the average profit per hectare of land is about 25,000 manats per year. According to the Financial Markets Supervision Chamber of Azerbaijan, at the end of May 2018, fees on the agricultural insurance market amounted to 1.56 million manats, with payments amounting to 282,900 manats. A large part of the fees and charges in this area - 947,700 manats - fell on the insurance of livestock.